The Africa Craft Trust comprises a small tight team, closely assisted by its Board. We draw extensively on a local and international network of specialists. Trust consultant expertise includes market-conscious design, small business expertise and specialised facilitation skills. The Trust responds to the demands of communities and key stakeholders. Our concern for sustainability motivates frugal use of all resources entrusted to us. We encourage craft businesses to limit their environmental impact. Our respected methodology evolved from a global US-based craft development agency, AID to Artisans Inc (ATA). In 1998 a South African-based organisation developed as the local implementing arm for programs run by ATA. Two years later ATA received a large USAID Matching Grant Award to implement the Pan-African Artisans Enterprise Development (PAED) Program in Mozambique, Tanzania and South Africa. Matching funding was provided by the Ford Foundation and the W.K. Kellogg Foundation. In 2005 a non-profit organisation was registered in South Africa as the Aid to Artisans South Africa Trust (ATASA). In 2010 ATASA was renamed the Africa Craft Trust. 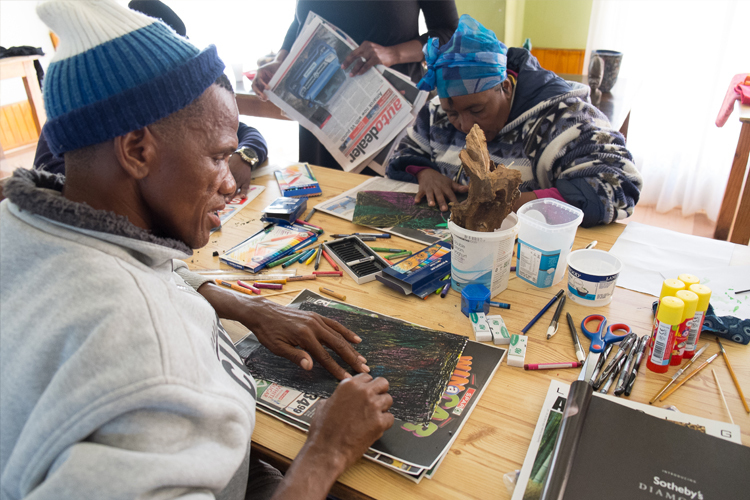 In 2017 the Africa Craft Trust merged with The New Basket Workshop, a South African-registered non-governmental organisation (NGO) catering to the special needs of African rural basket producers. The merger pooled resources and expertise which had been acquired in Zimbabwe, Ethiopia and Ghana. In 2010 the Africa Craft Trust was formally established as an independent South African-registered not-for-profit trust. Since 2004 participants from 16 African countries have attended our Access Markets for Profit (AMP) Program (formerly the Africa Market Readiness Program), designed to assist craft businesses in Africa wishing to enhance the profitability of craft artisans across Africa. 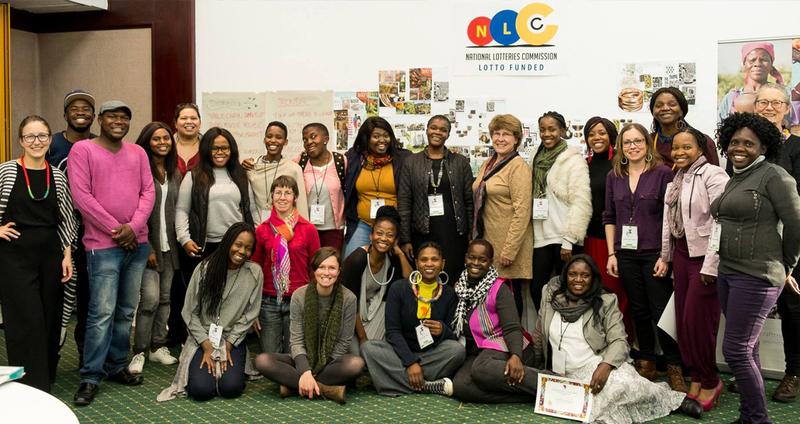 In South Africa the PAED Program involved partnerships between ATA and the BAT Shop in Durban, the Cape Craft and Design Institute (CCDI), Wola Nani and Phumani Paper. Activities in South Africa included product development workshops, expansion of product lines with assistance from design consultants, and product exhibition at the New York International Gift Fair and at SARCA. From 2007 to 2010 the Aid to Artisans South Africa Trust received Kellogg Foundation funding for a programme to enhance the South African rural craft sector through collaborative efforts linked to networking between craft value chain players, including local leadership and entrepreneurship at both private and public levels. 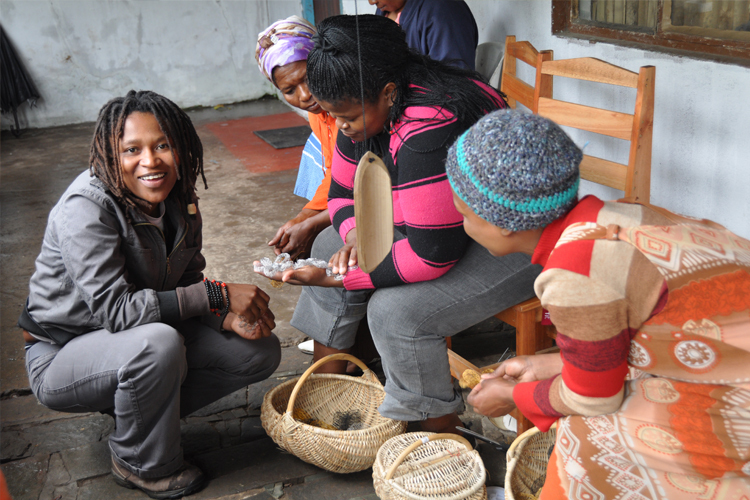 The Trust strengthened rural craft business capacities in the areas of KwaNganase (northern KwaZulu-Natal) and Mthatha, Port St Johns, and Lusikisiki (Wild Coast, Eastern Cape). Key activities included product development workshops, mentoring, participation in various art markets, targeted buyer trips, tailored business and production workshops, costing and pricing training, and retail exhibition management. Between 2008 and 2010 craft development work involved women-owned mohair weaving enterprises around Maseru and Teyateyaneng (Lesotho). Lesotho artisans were assisted to design new products that would sell both regionally and locally, generating higher incomes for crafters and their families. Key activities included product development and technical training, tradeshow participation and specialised entrepreneur mentoring activities. A crucial qualitative impact was revitalisation of mohair industry products on offer in Lesotho. In 2010, as soccer fans flooded into South Africa for the 2010 Soccer World Cup, the Africa Craft Trust hosted the South Africa Handcraft Exhibition, providing a platform for local handcraft and art from 12 craft enterprises. A global audience was exposed to slides of crafters and videos of vuvuzelas, beaded soccer balls, jewellery, and wall hangings. Profits were divided between the artisans involved. In 2010 the Trust developed and implemented a programme funded by Royal Bafokeng Enterprise Development (North West province, South Africa) to revitalise Bafokeng craft products and reintroduce them to a broader market. The programme involved 35 crafters, with between 250 and 500 indirect beneficiaries. From 2011 to 2013 the Ford Foundation funded a Trust initiative utilising mobile phone technology and ICT to nurture rural-based craft entrepreneurs in three South African provinces. The program was implemented in partnership with Women's Net (a technology NGO) and Open Africa (a tourism NGO). It aimed to increase craft enterprises’ access to tailored mobile business solutions, and connect craft enterprises to a supportive information network to open up further opportunities. The Trust members believe that the innovation has the potential for worldwide implementation. From 1998 to 2006 ATASA utilised funding provided by two regional USAID Matching Grant Programs for the RISE Program, which provided assistance with technical, design, marketing and quality control to artisans in Mozambique and Tanzania. It paved the way for the PAED Program, with the geographic reach expanded to include South Africa. ATASA linked craft enterprises to high-demand markets through exhibitions at US and European trade shows, and organised ATASA-led buyer visits. In Mozambique the Export Mentoring Program was developed to enable craft exporters to conduct business globally through direct contact with importers and wholesalers. Support from the Ford Foundation enabled ATASA to incorporate a focus on sustainable use of wood in artisan product production in Mozambique, including formation of a national artisan association, and drafting of an accord between artisans and communities to manage precious wood sources, such as sandalwood. By the time the RISE Program ended, ATA Mozambique had a database of some 53 artisan groups, representing around 450 artisans. By December 2004 cumulative sales orders increased more than five-fold to US $355 000. The New Basket Workshop (TNBW) was funded initially by the Ford Foundation in a basket development programme for Zimbabwe. From 2011 to 2014 TNBW partnered in Africa with India’s National Institute of Design, for activities in Zimbabwe, Ethiopia and Ghana. Development activities for basket-makers were funded by the Government of India, with supplementary support from the Danish Government, Bubi Oil Denmark and the Lupane Women’s Centre. The TNBW’s activities were incorporated into the Africa Craft Trust in 2016. In March 2012 the Trust partnered with The New Basket Workshop to facilitate a four-day costing and pricing workshop at the Lupane Women’s Centre in Zimbabwe. Representatives of the Women’s Centre and the Binga Craft Centre were involved. The Lupane Women’s Centre represents some 300 talented basket weavers who export their products to South Africa and abroad.